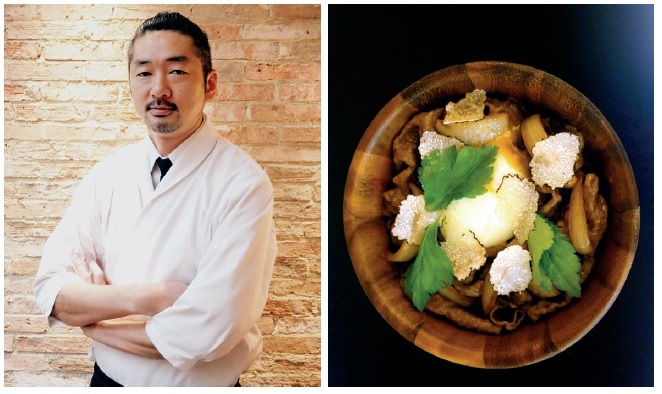 Coming soon to The Ritz-Carlton, Kuala Lumpur is Japanese Guest Chef Hirohashi Nobuaki from Ushidoki, the fine Wagyu Kaiseki restaurant in Singapore. 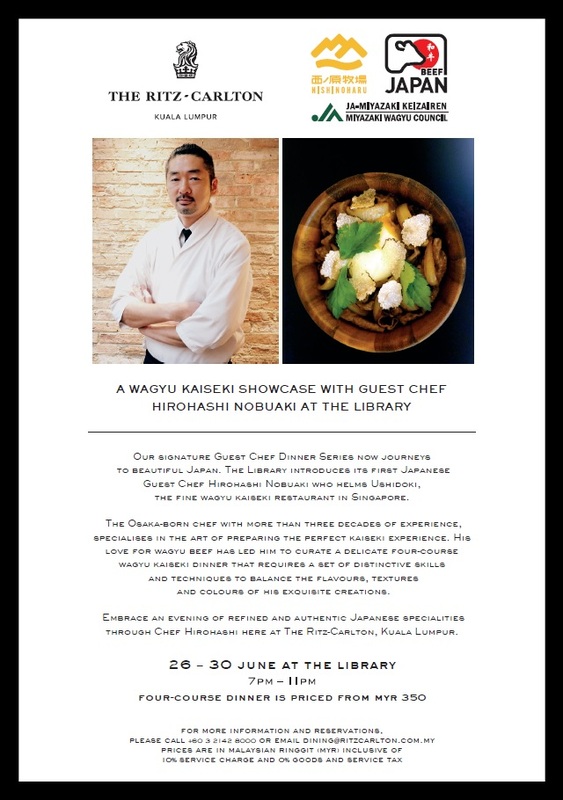 The Osaka-born chef will be cooking at The Library from 26-30 June 2018 and will be presenting an exquisite 4-course Wagyu Kaiseki dinner menu for guests. Please check out this post for the full menu and detailed review. For more information and reservations, please call +60 3 2142 8000 or email dining@ritzcarlton.com.my. Location: The Library, Level 1, The Ritz-Carlton Kuala Lumpur, 168 Jalan Imbi, 55100 Kuala Lumpur, Malaysia.